Tue, Mar 26, 2019, 11:26 pm SL Time, ColomboPage News Desk, Sri Lanka. 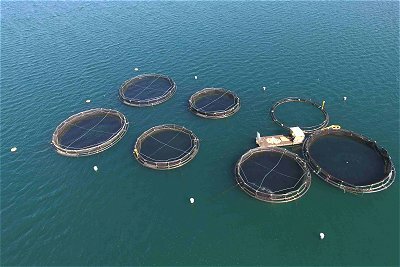 Mar 26, Colombo: Sustainable oceanic fish farm Oceanpick (Pvt) Ltd., has been awarded the Best Aquaculture Practices (BAP) certification, making Sri Lanka a pioneer in South Asia -and only the 34th country in the world- with a BAP-certified facility. Oceanpick is South Asia's first ever commercial-scale offshore oceanic farm for finfish, and is currently the only offshore aquaculture operation in Sri Lanka. This latest milestone reflects the approval of the most trusted and comprehensive third-party aquaculture certification program in the world for the company's sustained incorporation of best practices at its Barramundi farming facility in Trincomalee. "We are extremely proud to be able to say that we are now officially BAP certified," said Founder of Oceanpick, Irfan Thassim, on the company's newfound status. "Several state authorities such as NAQDA and the Port Authority have played an immense role in the progress of Oceanpick, and this certification in particular allows us to not just list ourselves on par with other international 'responsible farming' organizations, but in doing so places Sri Lanka firmly on the global aquaculture map as well." "The location of a farming establishment is vital to the quality and purity of its produce," explained Thassim. "Trincomalee is home to the world's second-largest natural harbor and has remained free of mega-scale industrial activities that are typical of some other farming locations in Asia. When sustainable Scottish farming practices are conducted in such a pristine location what results is a truly world class product."